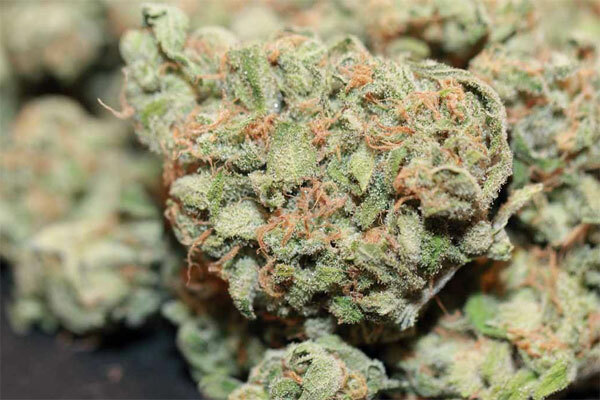 The blue dream A+ strain has become quite a legend in the world of marijuana users thanks to its strong sativa effects. It has earned its reputation for being good when it comes to daytime use. This is the kind of strain you could use to end up being high without being worried about any issues such as being overpowered. The strain’s high is good mood altering rather than making you sleepy all the time. It is not just for uplifting your spirits, the strain is also important for various medical uses. The properties it has is courtesy of the parents. The breeder crossed Blueberry Indica with Super Silver Haze. If you are in the market for top strains, you must have come across the parents. This goes on to show that the strain could also be as good as the parents. The strain is popular for giving you full body relaxation. There is no doubt many fans of the strain would love to have this type of strain for themselves. You can also end up liking its slow hitting high. It is the kind of high you will always enjoy as compared to the strains that high you hard. The strain will also give you a sense of euphoria. This should make it easy for the novice users to enjoy using the strain more often. The other effect is that it gives bursts of energy when using it. Some people even use it as a day starter thanks to such an effect. The feel-good properties of the strain are good to help with motivation. It is something that drives you to be creative with your work. This is something that many people would love to use more often. It can be good for brainstorming on a tough project as it gives a clear mind for you to think better. You might notice that you simply get random sparks of suggestions for handling the project better than before. The best part is that you do not end up turning into a couch-potato. The strain also gives you a floaty state. It is the reason you get such a smoker would be social than ever before. You also get the energy needed to accomplish several tasks faster than before. The fuzzy feeling you get from the strain makes it hard to resist. With its blueberry background, you can be sure to find this strain having a fruity fragrance. This can be good when smoked in the room as you will not have to worry of a bad smell. The scent also carries a bit of spice hints and fruitiness that gives you the best aromatic treat all the time. As for the flavor, it is exactly what you smell is what you taste too. The flavor has a bit of sweet berry variety with herbal and spice undertones. On the overall, this could be a great choice for many people. As much as the taste is great, it is not overpowering. You will enjoy using it more often. The strain is what you need when you need something gentle. Such a feature also makes it great for medical uses. You can use it to treat minor and major ailment depending on the doctor’s recommendations. The strain is preferred for pain related ailments. It has the power to eliminate the pain better than the other strains that you can get on the market. It can also come in handy for headaches, migraines, menstrual cramps, and inflammation. You should be able to relax your body without feeling heavy.